We spent most of our first full day exploring HCMC. Neither of us are that enamoured with it as a place and we’re really keen to get going on the bike and explore the countryside of the Mekong Delta. The War Museum was well worth the visit though and we had a good lunch on a roof top cafe (a recommendation from Gina) – the second beer at lunch was definitely a mistake however… We’re still acclimitising to the humidity, heat and new time zone and the second beer knocked us out for most of the early evening. We stayed up long enough to watch a film (‘The Snapper’) from our hard drive (thanks Johnny!). 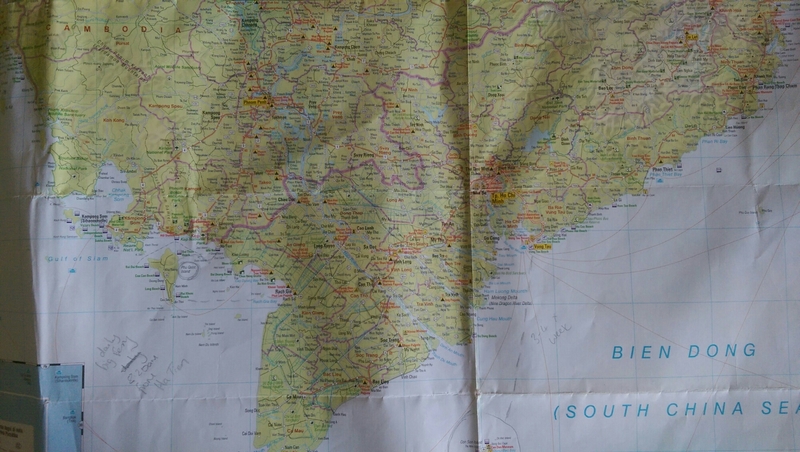 We will head west towards the coastal town Ha Tien, from where we can get a ferry across to Phu Quoc island. The bike looks in good shape after the flight and we might take it for a test run later. 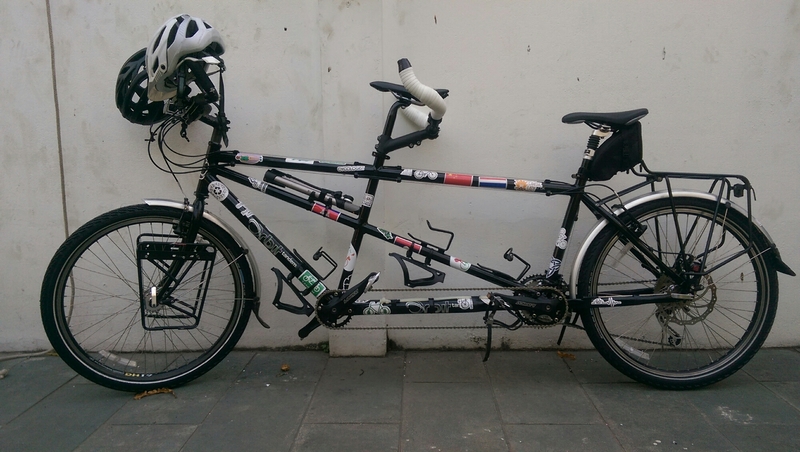 Posted on January 7, 2016 January 9, 2016 by annieandpaddyPosted in Uncategorized, VietnamTagged cycle tour, Ho Chi Minh City, Preparation, Tandem, warmshowers.org. Wow, well done you guys for making it that far – I’m not joking, I know you havn’t gone any where yet, but getting that far is impressive! Very well done indeed! Can’s wait to hear your stories. Big love to you both.